Now that the White River National Forest has completed a preliminary environmental report on the proposed terrain expansion at Arapahoe Basin Ski Area, plans to expand skiable terrain into the 338 acres of land known as The Beavers can move forward. Plans also include the installation of a new surface lift to improve access into Montezuma Bowl and replacing the Pallavicini and Molly Hogan lifts with more current technology, while removing the Norway lift. The resort also plans to expand operations into the summer with a canopy tour that will extend from the Black Mountain Lodge to the base area and a challenge course near the base area east of the Black Mountain Express chairlift. 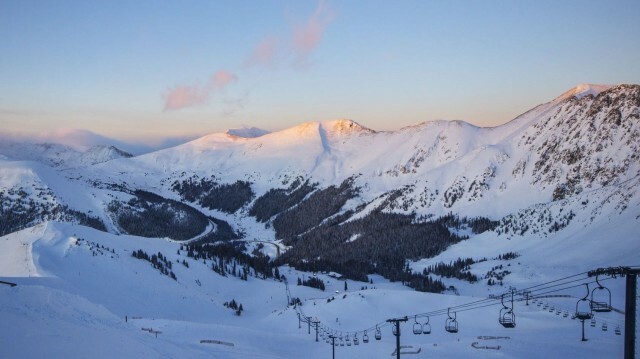 The goal of these projects, according to the environmental report, is to accommodate increasing demand for high alpine and open bowl skiing while preserving the ski experience at Arapahoe Basin, improving and upgrading facilities as needed and expanding operations to provide year-round activities. "We have worked for the past two years to get to this point. We are now eager to hear what the public thinks of the alternatives and if there are other considerations to take into account before a final decision is made," White River National Forest Supervisor Scott Fitzwilliams told the the Summit Daily. Several concerns in the environmental report include increased traffic on Highway 6 and a potential negative impact on vegetation, water resources, and wildlife. 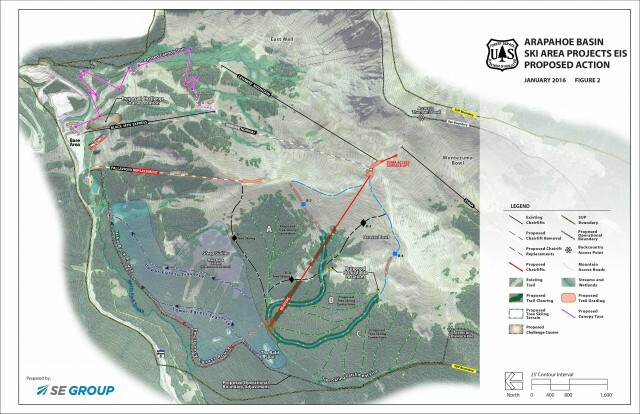 Additionally, the project will convert hundreds of acres of popular backcountry terrain into lift-serviced terrain, which will undoubtedly change the experience at Arapahoe Basin. The public is invited to comment on this project via the United States Forest Service until March 21. A public meeting will be held at 5 p.m. on March 2 at the Keystone Center in Dillon, Colo. The White River National Forest plans to make a final decision in fall of 2016.